The Wilson Trance Strike womens tennis shoes feature the TPU stable wrap which, combined with the carbon fibre quarter support, provides stability on swift directional changes on the tennis court. The shoes’ forefoot and heel with their Reactive Gel cushioning deliver a responsive ride. The shoes are perfect for clay court use and thanks to the over-moulded toe guard, they are protected from court abrasions. The nanoWik moisture management lining keeps the feet dry and cool. 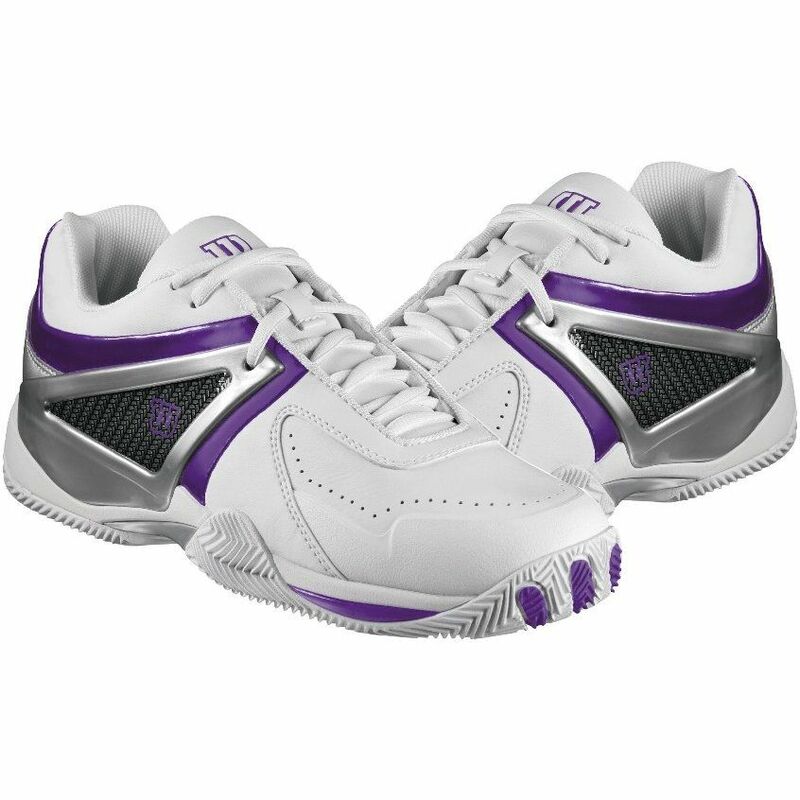 The Trance Strike shoes are recommended for the aggressive players seeking stability and durability in a shoe that can go from the hard courts to clay with ease. for submitting product review about Wilson Trance Strike Womens Tennis Shoes.